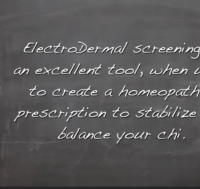 What is Electro Dermal Screening and Acupuncture? Th​is is a health system that is based on the assertion that the body has a self-healing ability. We may practice alternative medicine, but that does not mean we do not make full use of technology. Electro- Dermal Screening is a form of bio-feedback therapy, used to assess whether the output from each organ is 100%. 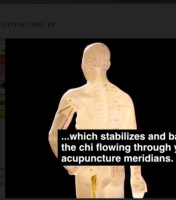 Organs not functioning at that level, are identified and brought into balance using Acupuncture, Combination Homeopathics, and Herbal Remedies. I look forward to helping those who are seeking optimal preventative healthcare and wellbeing in conjunction with high tech system of modern medicine. When struggling to get your body and mind back in balance, acupuncture, herbs and combination homeopathic tinctures are a powerful way to speed up the body’s natural healing process. My goal is to offer you the best that Oriental Medicine & Preventative Medicine has to offer. can too often identify that which the body needs in order to restore balance and bring quality of life. RESTORE HEALTH AND QULITY OF LIFE!